Margaret and I have recently returned from a very long trip known as the Atlantic Odyssey, a repositioning cruise that is available once a year as a tourist ship ends its program in the Antarctic at the onset of the southern winter and moves to the Arctic for the northern summer. On top of that we went straight from Cabo Verde, the end point of the cruise, to Mallorca to join our friends at Birdquest in Mallorca to celebrate their 35th year of operation. It total we were away 45 days. I hope to upload many photos from this remarkable and highly photogenic journey from each of the locations we visited, but for now here is a brief overview of the entire trip. Here is a map of our route. There is one important difference to what shown above. In 2016 for the first time the operators, Oceanwide Expeditions, didn’t take the Plancius to the Antarctic Peninsula before heading to South Georgia, instead cruised directly from Ushuaia to South Georgia. 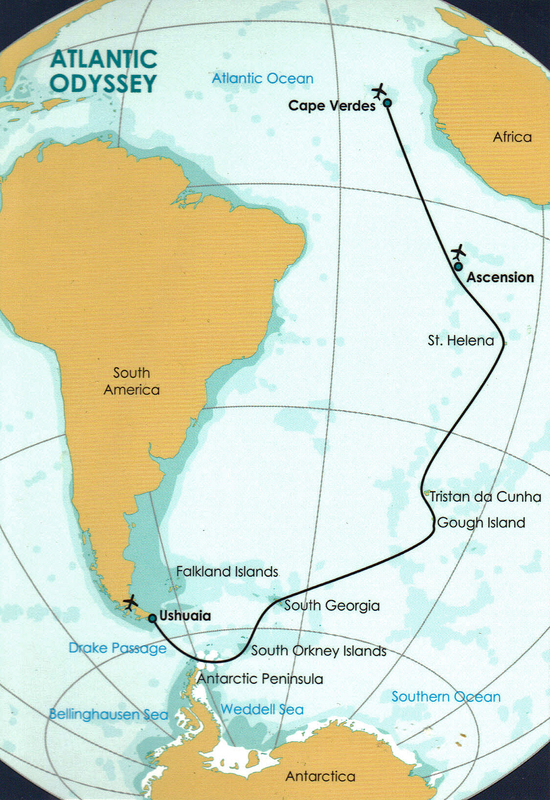 You could take a Ushuaia – Antarctica – Ushuaia trip immediately prior to the Atlantic Odyssey, but this would have lengthened our entire tip to 55 days which we though was too much. I have already been to Antarctica but we both intend to to visit some time in the future. 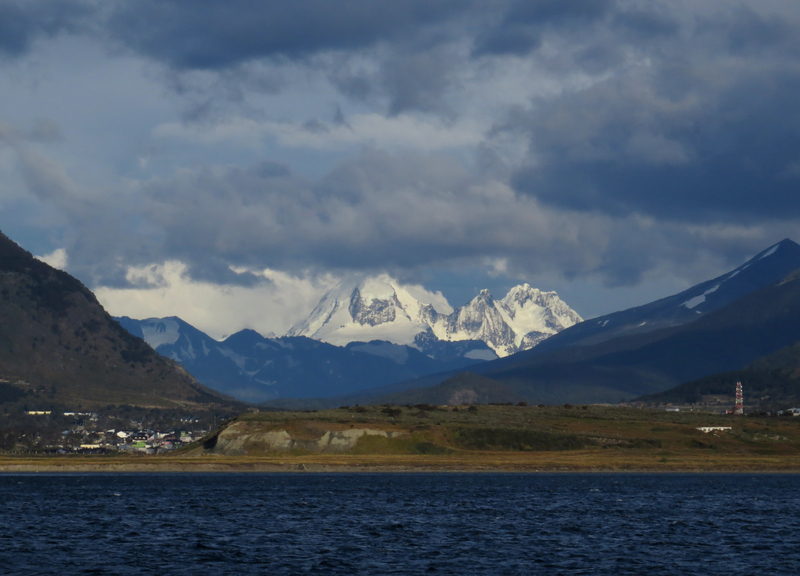 After a couple of days of travel we arrived at Ushuaia, the southernmost tip of Argentina, just as darkness was falling. The view from our hotel was breathtaking. …. 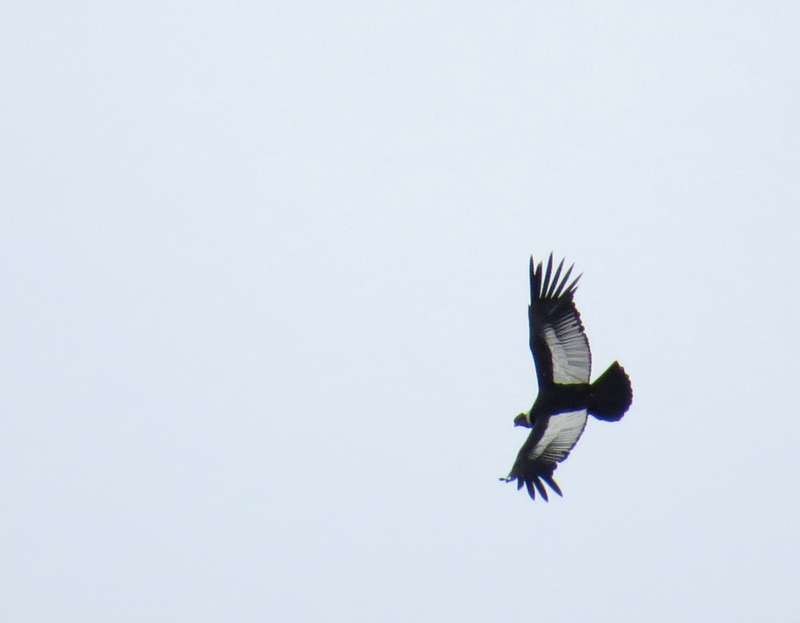 seeing wonderful birds like Magellanic Woodpecker and this Andean Condor. We took a boat trip on the Beagle Channel and had close up views of Humpback Whales as well as several species of seals and seabirds. 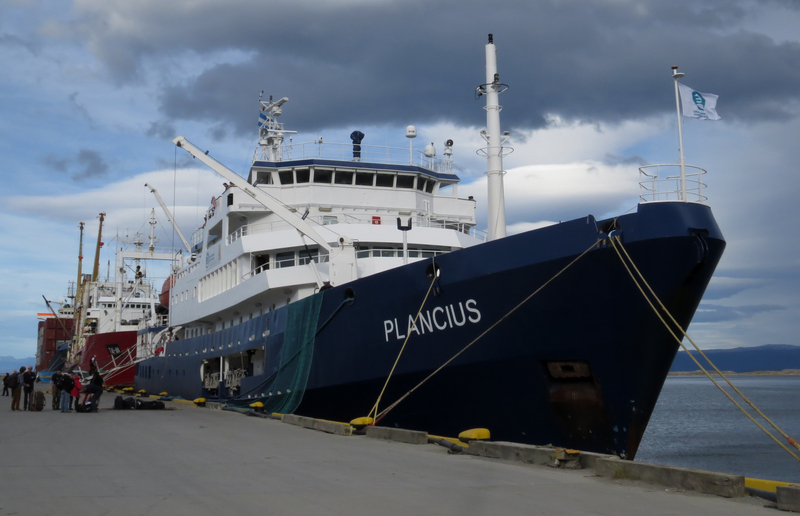 In the afternoon we boarded the Plancius, the ship that was to be our home for the next 34 days. The passage from Ushuaia to South Georgia was disappointing, we were following the line of the Antarctic Convergence and at this time of year this means fog. 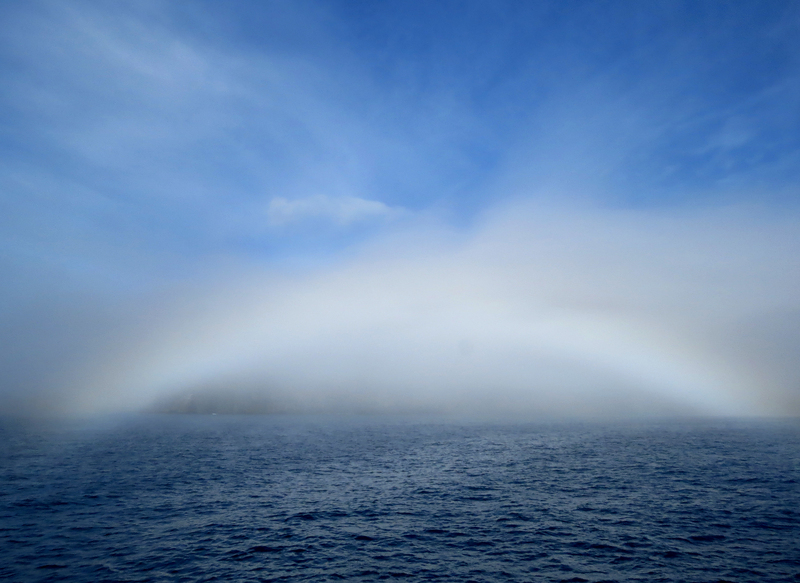 This meant few seabirds were visible, even though we did see some lovely fogbows. South Georgia was an absolute delight, one of the most wildlife rich and photogenic sites on the entire planet. 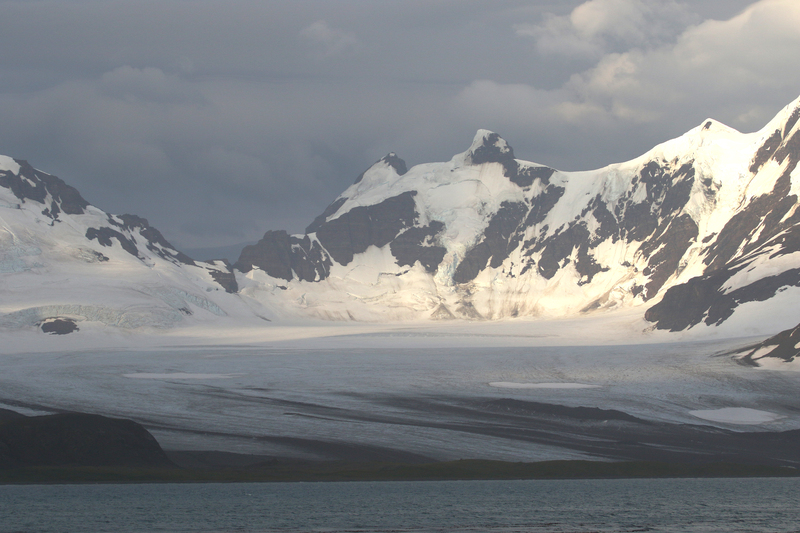 Described as being like the Alps rising straight from the sea, huge glaciers sweep down from 3000m peaks to the coast. 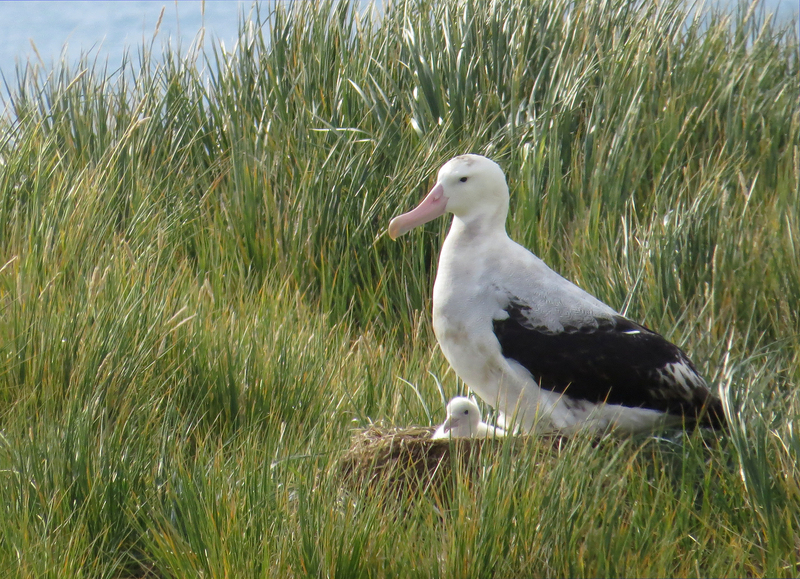 We were able to see Wandering Albatrosses on the nest …. …. 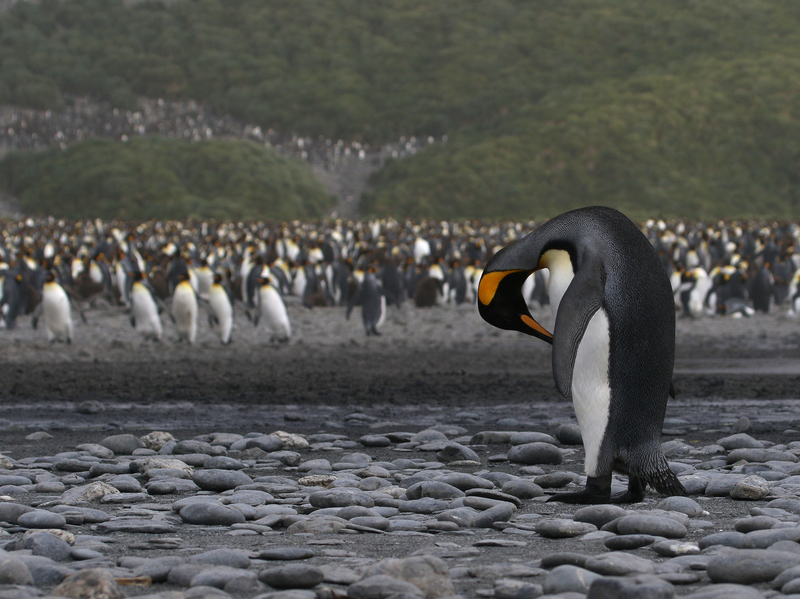 enormous colonies of King Penguins …. …. many which waddled by completely indifferent to us. 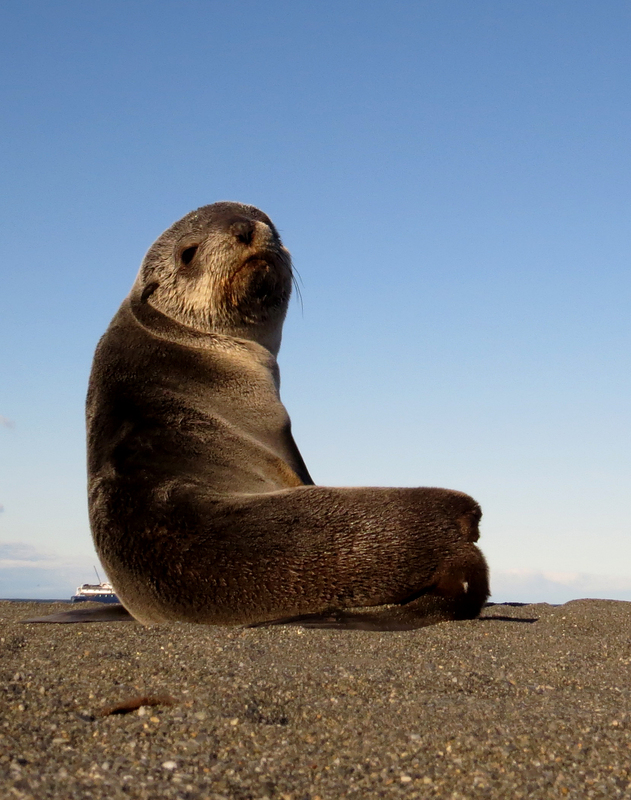 There can be few cuter things in this world than a Fur Seal pup. We also paid a visit to the old whaling station at Grytviken. 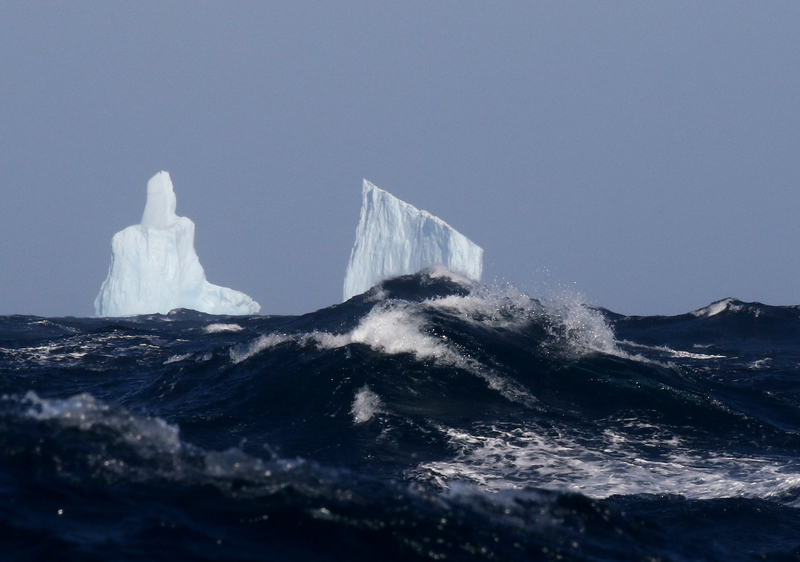 As we left South Georgia we headed north towards Tristan da Cunha we encountered rough seas and several icebergs. This was the best section of the entire trip for seabirds. 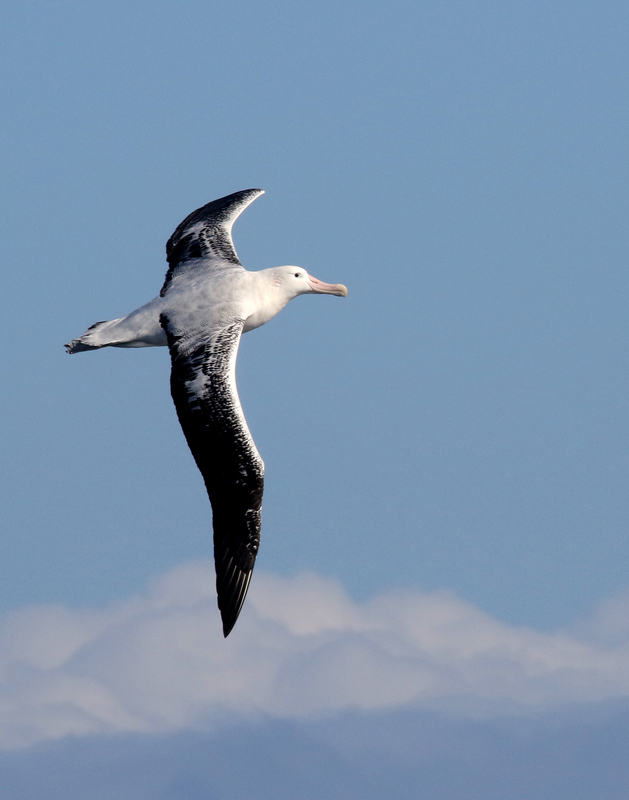 Species varied from the enormous Wandering Albatross with its 3.5m wingspan …. …. 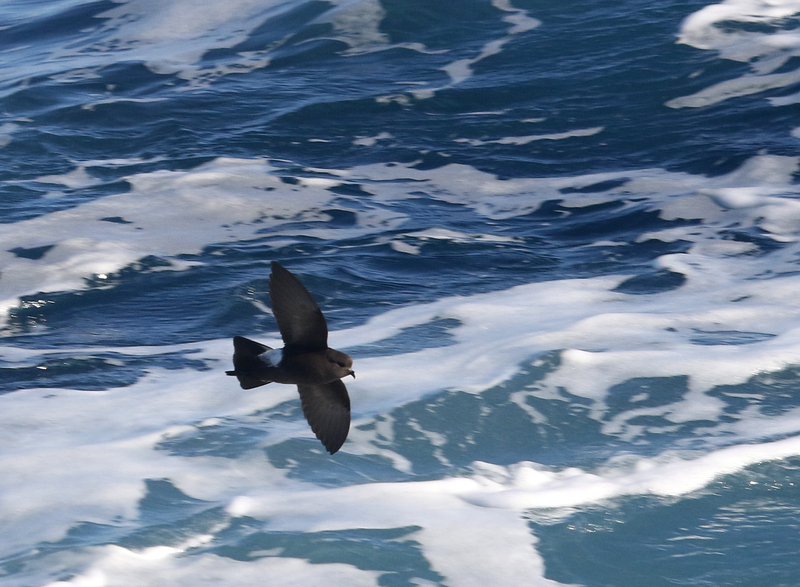 to the tiny Wilsons’ Storm Petrel. 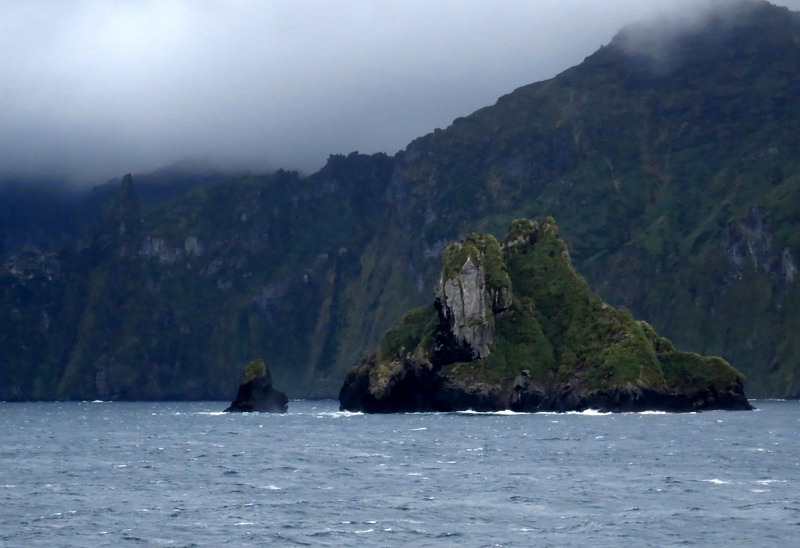 As we approached the island of Gough the endangered and much desired Spectacled Petrel put in its first appearance. No landings are allowed on Gough but it is normally possible to cruise inshore in the zodiacs and see the endemic species. On arrival we found the stiff easterly wind had built up a big swell, so we couldn’t approach any closer. Good weather the following day allowed us to land on the main island of Tristan – the most remote inhabited island in the world. 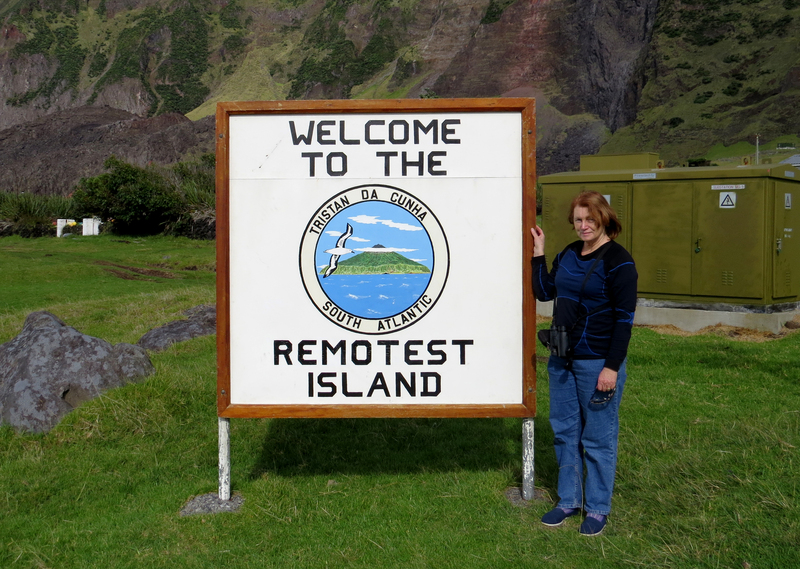 We were not so lucky with the nearby (and appropriately named) Inaccessible Island. 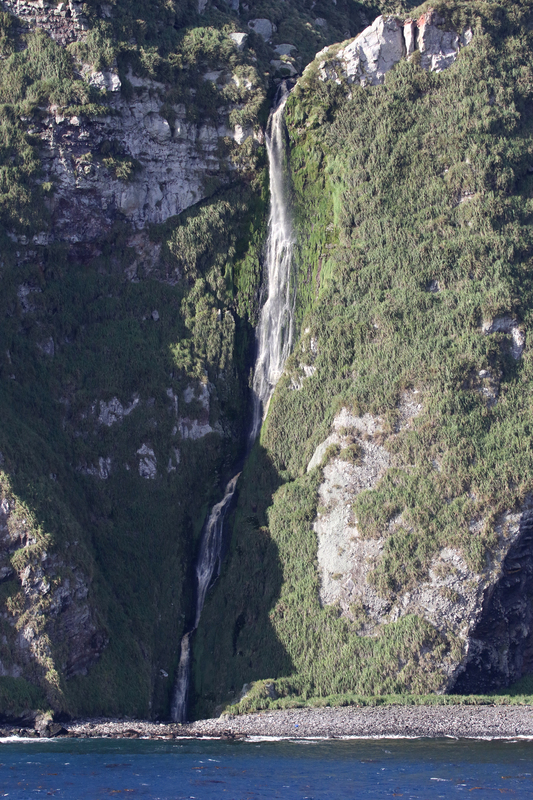 Although vertical cliffs prevent access to the interior, the tussocks at the base of the cliff hold a population of the smallest flightless bird in the world – the Inaccessible Island Rail. A swell breaking on the steeply shelving beach prevented any hope of landing and dashed our hopes of seeing this enigmatic bird. We were luckier with the neighbouring island of Nightingale, although the landing was far from easy. 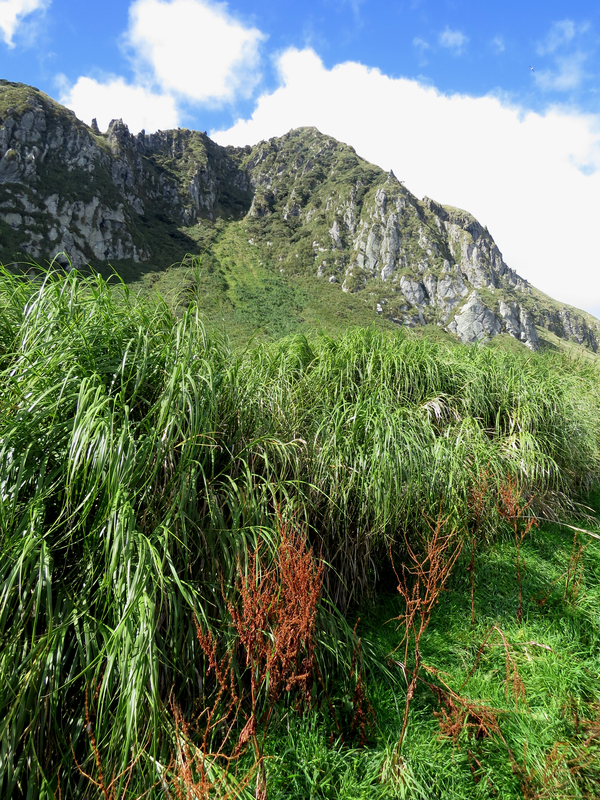 The endemic finch and thrush were abundant and we hiked up to the relict forest at the top to see the critically endangered Wilkin’s Finch. 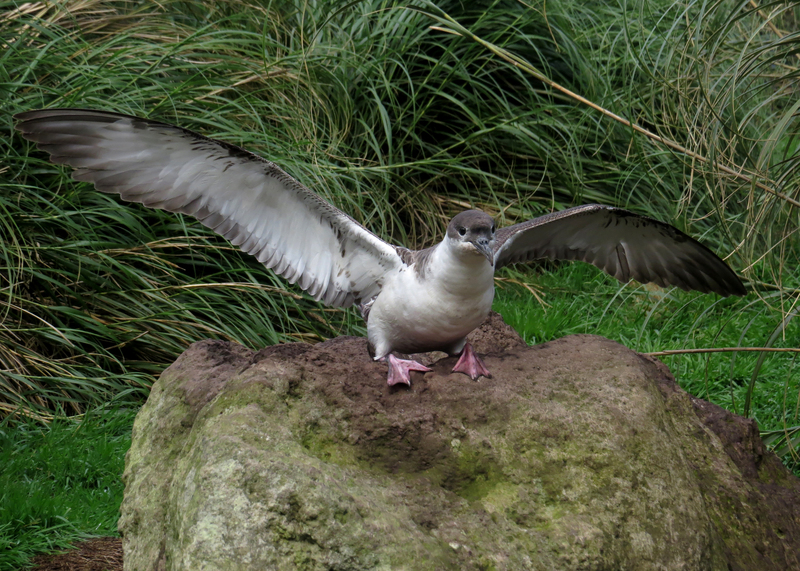 On route we saw many Yellow-nosed Albatross chicks and recently fledged Great Shearwaters (above) which launched themselves into the air from these take-off posts and sometime pattered across the top of our heads to give themselves an extra push. The sea crossing between Tristan and St Helena was the quietest of the trip with only one or two individual birds seen on some days. 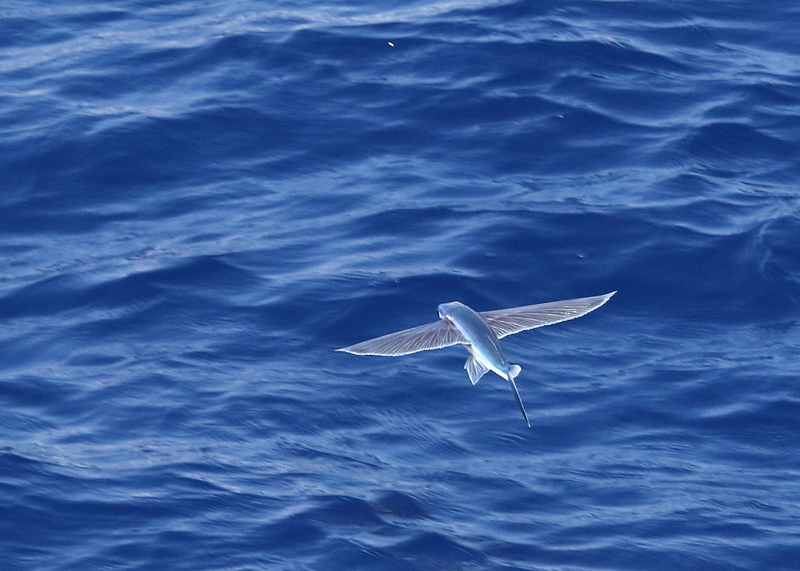 There were plenty of flying fish about to challenge your photographic skills. 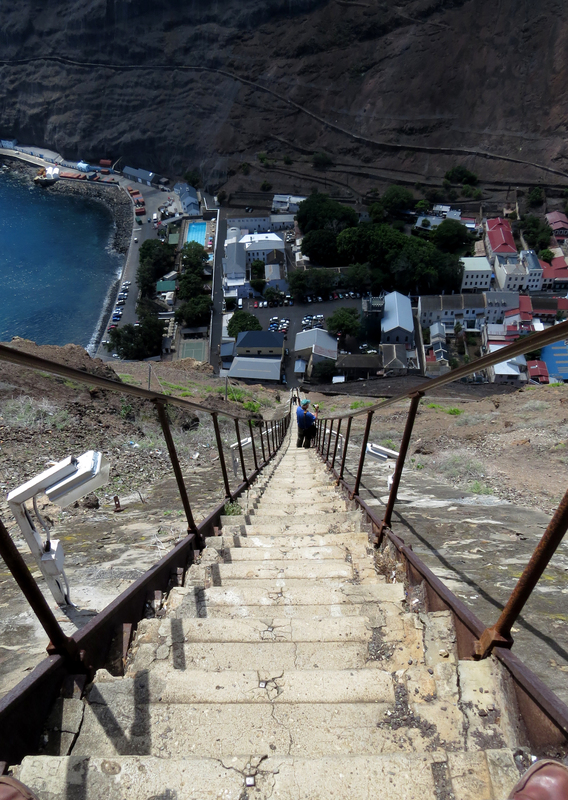 The capital of St Helena, Jamestown is nestled in this steep-sided valley. There is a winding road connecting Jamestown to the rest of the island of course, but if you want a short cut you can always try the 700 step Jacob’s Ladder. 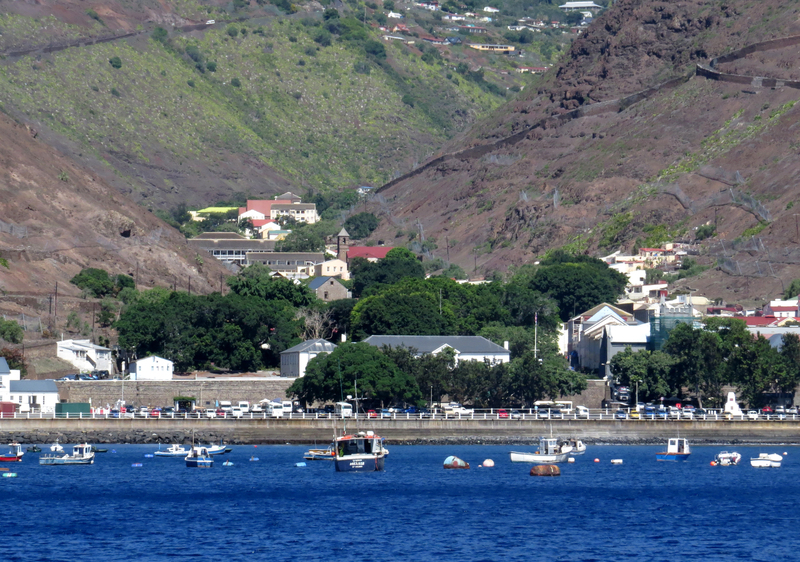 St Helena’s tourist trade is mainly based on sites associated with its famous former resident , Napoleon Bonaparte. Of course the birders were more taken with nesting seabirds, like this White (or Fairy) Tern photographed at the site of Napoleon’s former tomb. 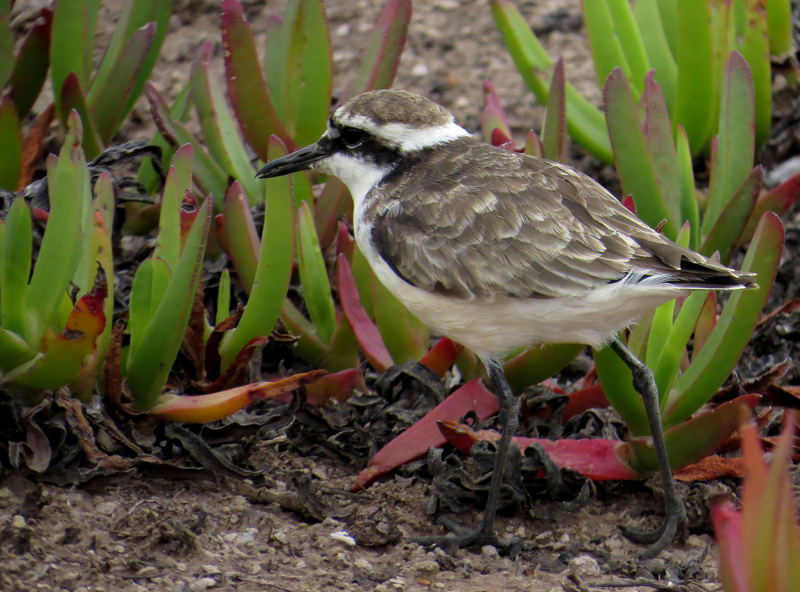 Although St Helena had a number of endemic birds before the arrival of man, only one remains, St Helena Plover or Wirebird. We had great views of up to 40 at two locations in the mountains. 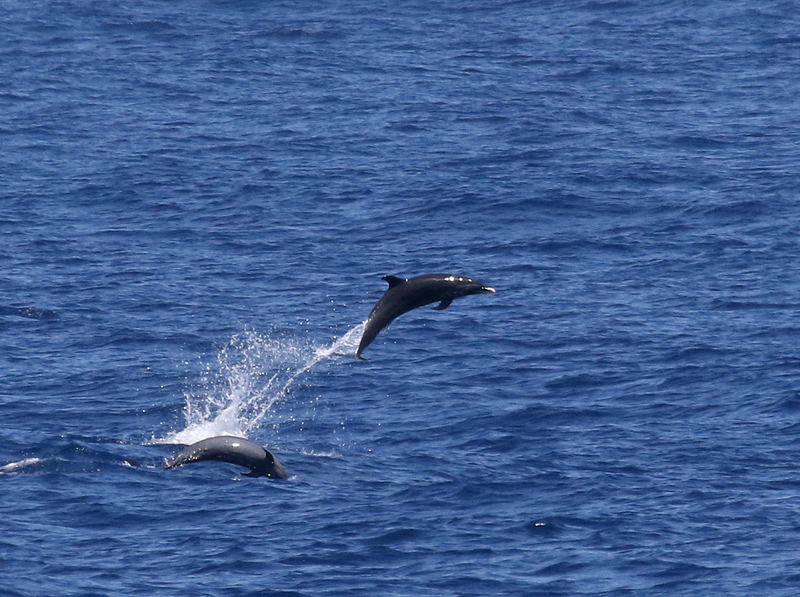 We encountered a few more seabirds as we headed towards Ascension Island but we also saw a good number of cetaceans, such as these Pan-tropical Spotted Dolphins. 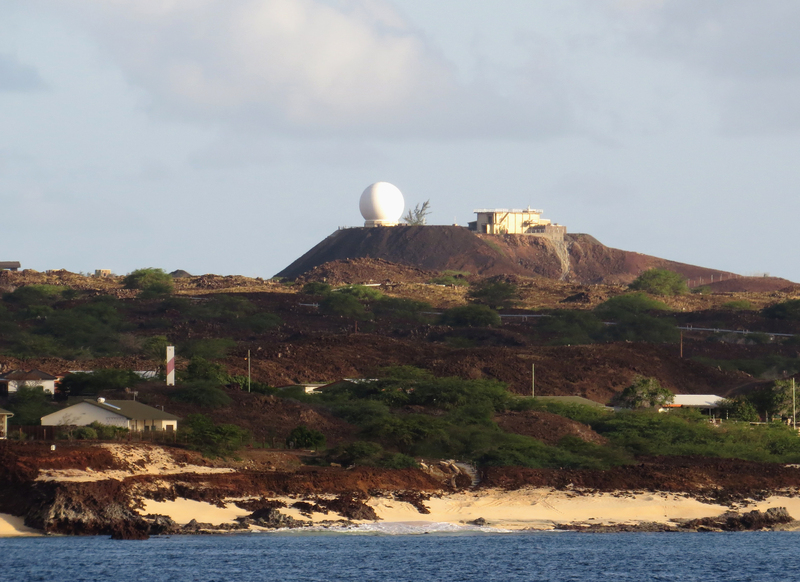 Ascension is basically just a huge military base and is covered with listening and communication devices. It is technically uninhabited as none of the 800 or so residents has right of abode or can buy property, all are on fixed term contracts. 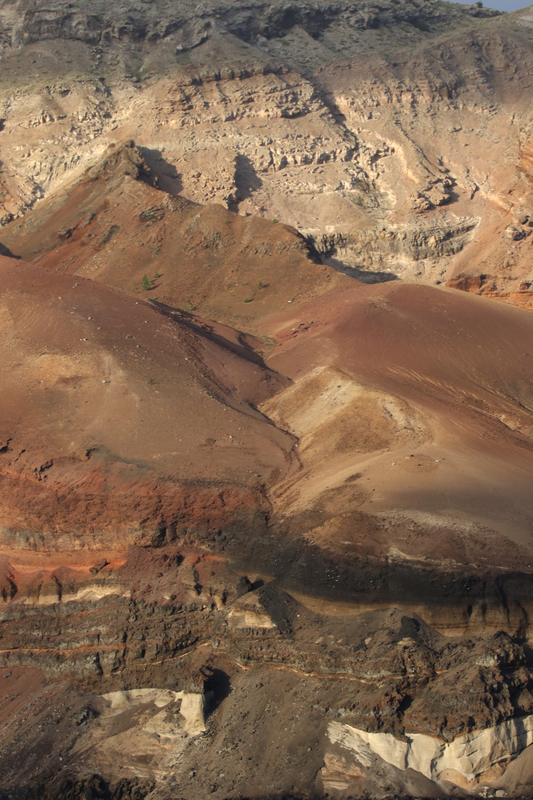 Ascension, a relatively new volcanic island, has stunning coastal scenery comprised of layer after layer of lava and ash. 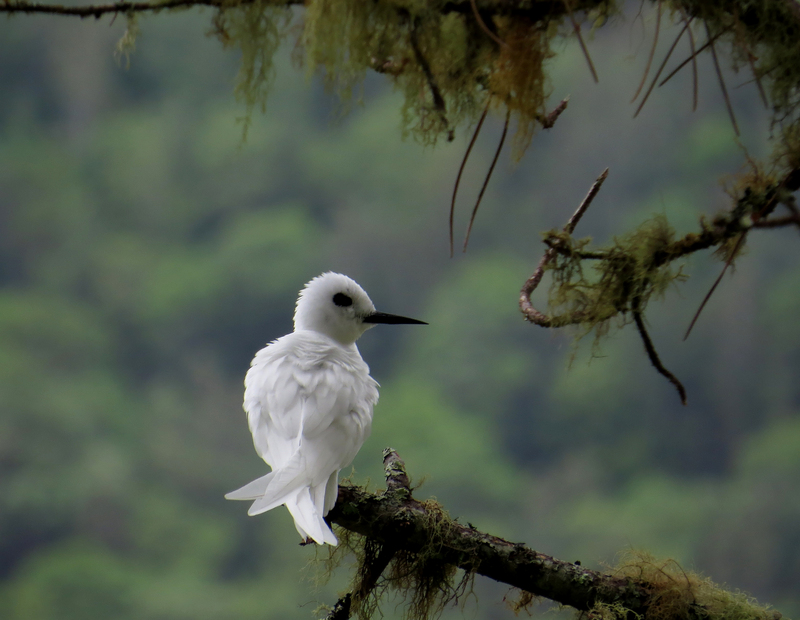 The two biggest wildlife spectacles are the Sooty Tern colony on the mainland …. …. and the huge offshore Ascension Frigatebird colony. 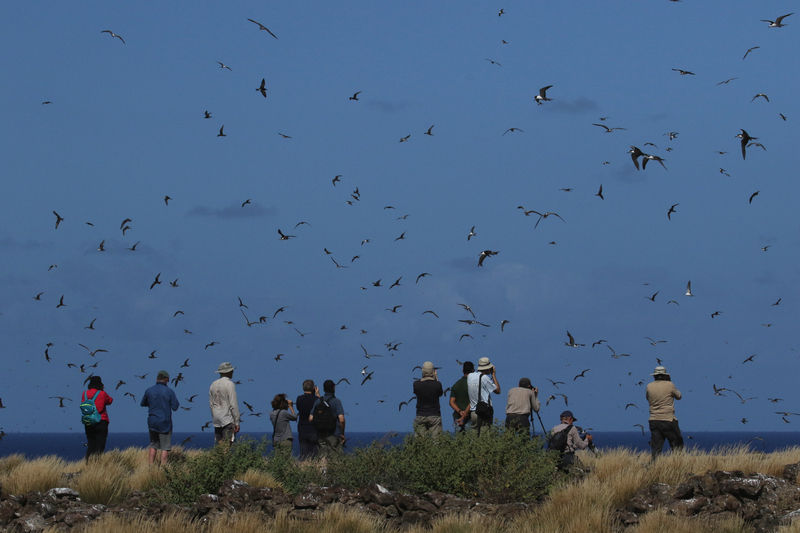 We arrived at the offshore stack of Boatswain Bird Island at first light and saw just about all of the world’s population of Ascension Island Frigatebird leave their roost. 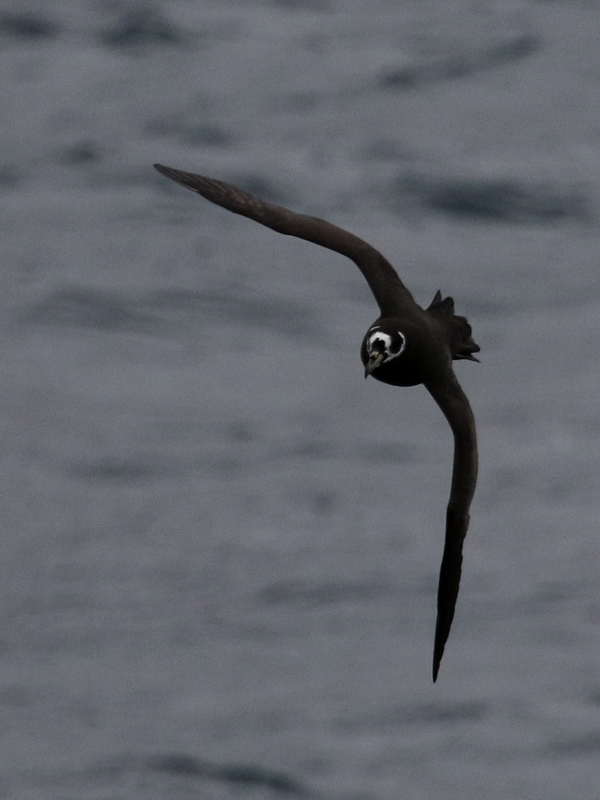 As the light improved we had fantastic views of this rare and range restricted seabird right over our heads. As we headed north we crossed the Equator and it became very hot on deck. The following day we passed through the doldrums and the sea was still and flat with an oil-like texture. You could see the reflections of the Leach’s Storm-petrels in the glass like surface …. …. 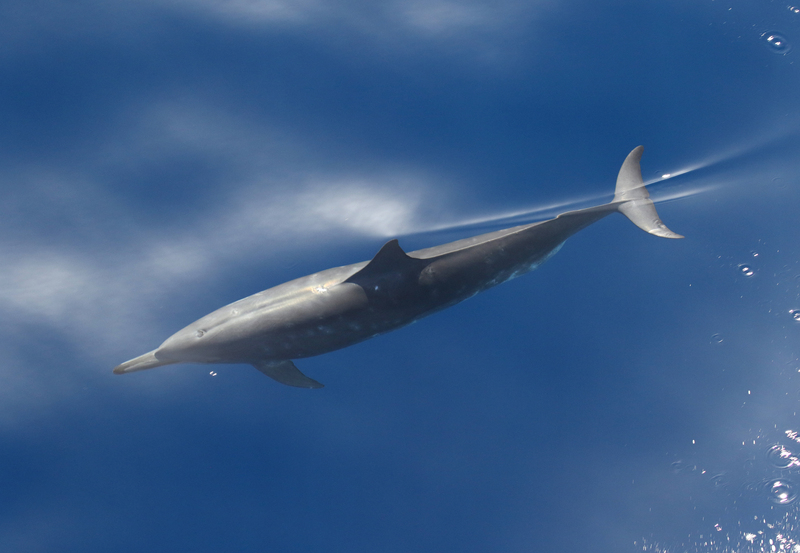 and when a group of Clymene Dolphins came in to bow ride, you could see every detail underwater. On the 28th of April, 34 days after we left Ushuaia, we docked at Praia on the island of Santiago, Cabo Verde. 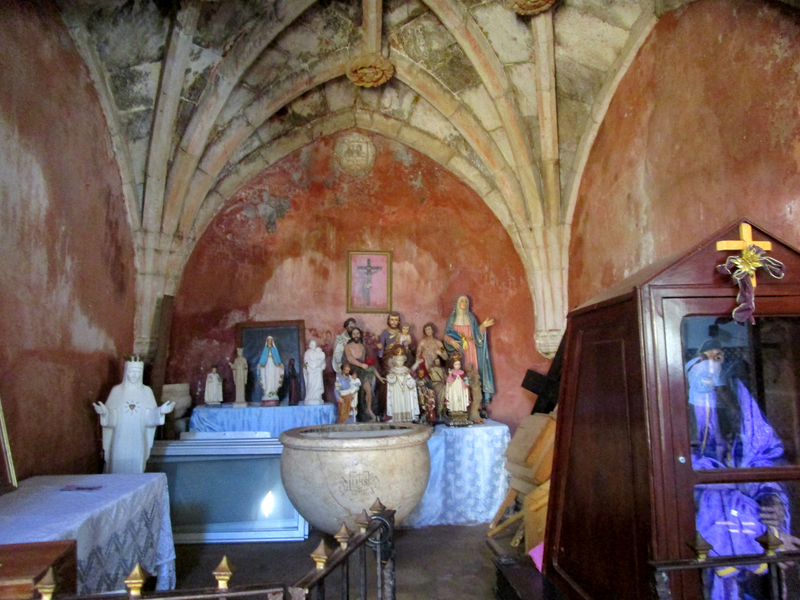 Margaret opted for a cultural tour of the city visiting churches, museums and sites of historical importance …. …. whilst I joined the other birders for a trip into the interior. 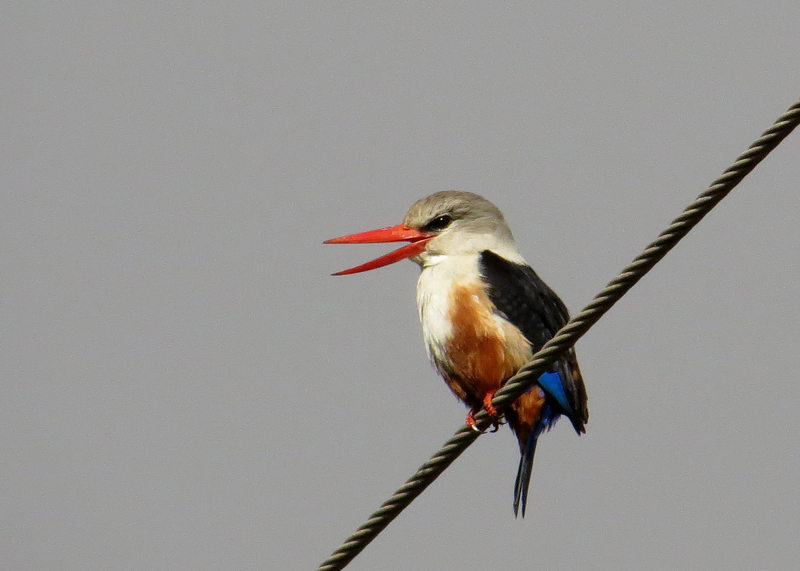 We saw three of Cabo Verde’s endemic species, a number of vagrants to the island (from the New World and the Old) and other residents like this beautiful Grey-headed Kingfisher. Whilst most of the other passengers headed home we continued on (via Lisbon and Barcelona) to the Mediterranean island of Mallorca. We spent much of the first day relaxing after our overnight flight, but in the evening we met up with 19 other Birdquest clients and 9 members of staff who had come to Mallorca to celebrate Birdquest’s 35th year of operation. Rain affected the first part of the trip but it brought down many migrants …. …. as well as newly arrived ‘Tyrrhenian’ Flycatchers, the pale and lightly streaked local race of Spotted Flycatcher, which recent research had indicated is worth specific status. Agricultural areas held lovely birds like this Tawny Pipit. 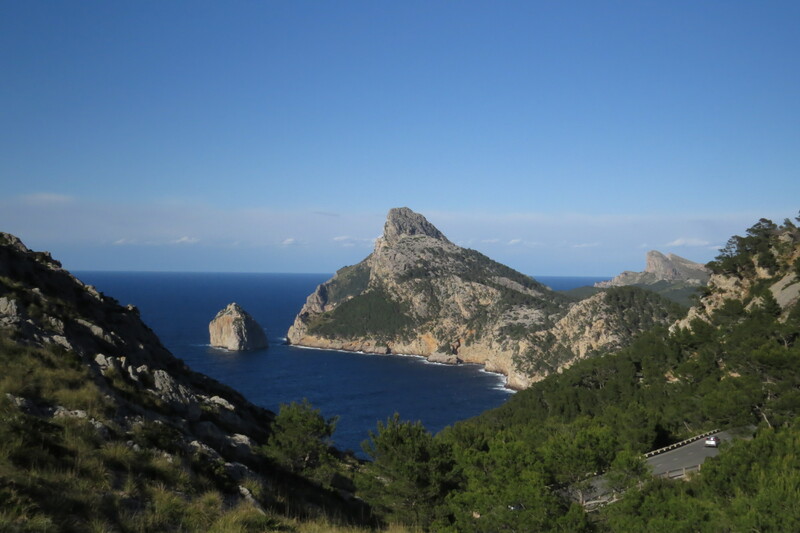 The mountainous spine of the island ends in the picturesque Formentor Peninsula, a location for Crag Martins, Eleanora’s Falcons and other great birds. Higher up in the mountains we saw Griffon and Cinereous Vultures (above) …. …. 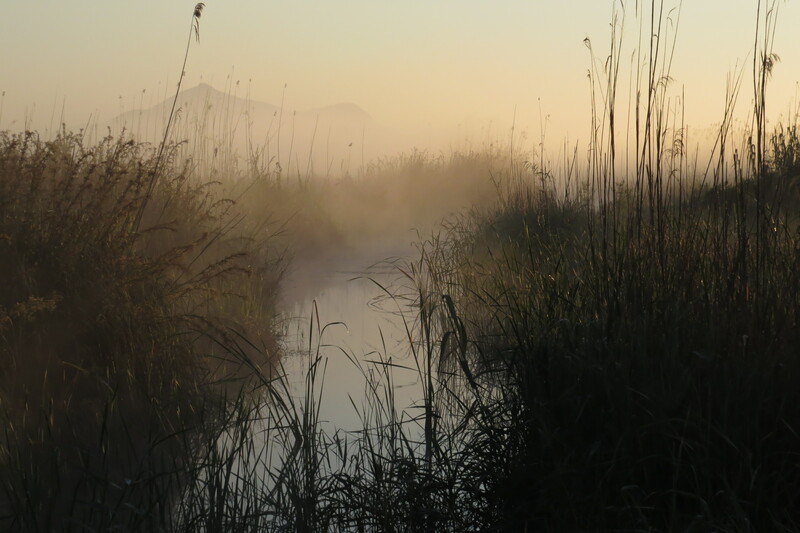 whilst the marshes of S’Albufera and S’Albufeteta gave us views of many specialties …. …. 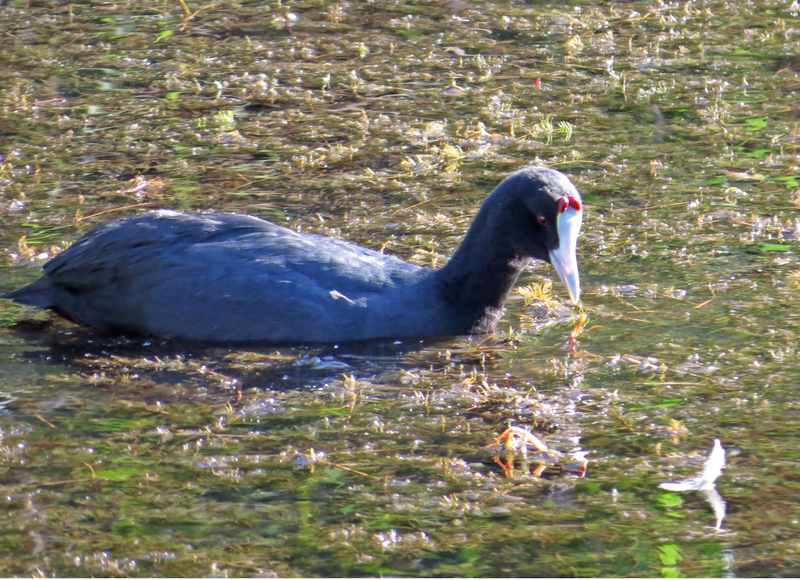 such as this Red-knobbed Coot, a mainly African species that in Europe is restricted to Spain. The highlight of the trip for me was our visit to the island of Cabrera off the south coast of Mallorca. 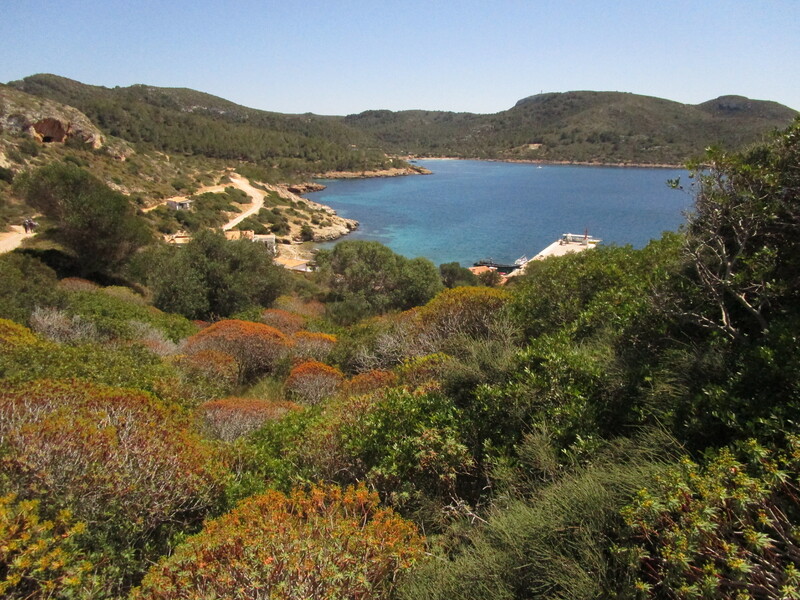 In this untouched area of maquis and woodland we found many migrants and well as stunning views of the endemic Balearic Warbler …. …. and the range restricted Moltoni’s Warbler (which contrary to what I posted last year) is actually the last European breeding bird that is a life bird for me. 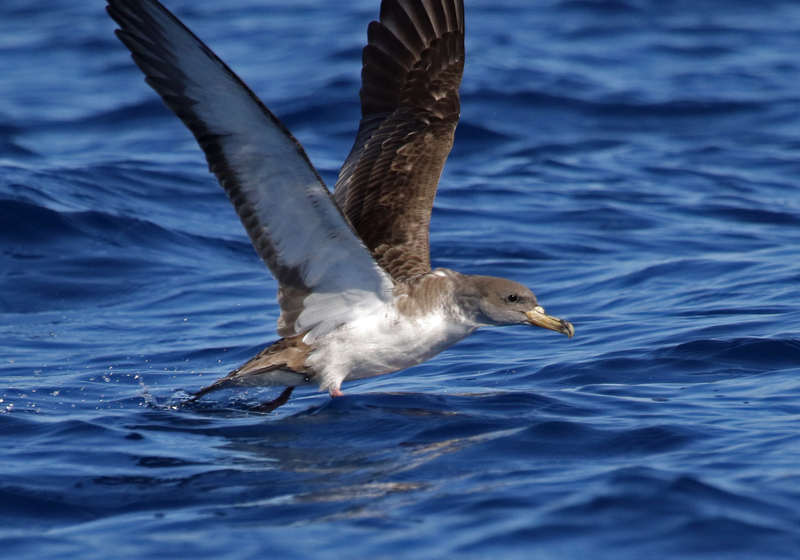 On the way to and from Cabrera I had my best ever views of Balearic and Scopoli’s Shearwater (above). All-in-all our four days birding on the reunion gave me many more species than I saw during the whole of my last two-week visit to the island. As I said at the start this is just an overview of the trip. Probably starting some time in the summer I will post a lot more pictures, treating each site in more detail.